How often do you visit the shed at the bottom of your garden? You know – that brown thing stuffed with bikes, barbecue equipment, deflated balls, long-abandoned outdoor toys, power tools, gardening tools, sports equipment and weird garden implements? Any idea what's really in there and, more to the point, what it's worth? 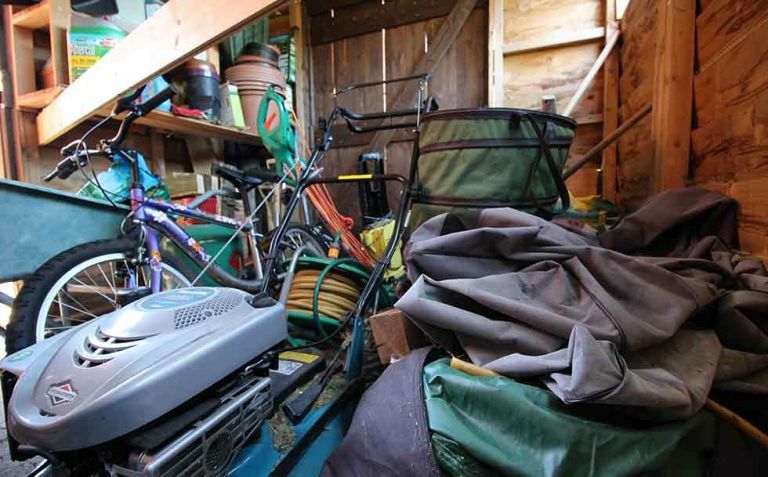 Most of us might see our sheds as more of a junk store than a valuable part of our property – but, according to outdoor specialists BillyOh.com's latest research, a typical British shed is full of high value of items that a) are alluring to burglars (who love a dark winter afternoon/evening), and b) would cost thousands – on average £2,578 – to replace. In other words, our junk is their bread and butter. A spokesperson for BillyOh.com says, 'An unassuming shed could start to look like a pot of gold at the end of the garden in the eyes of burglars, so it's absolutely vital to get a solid lock and ensure there are no other easy means of entry.